In this delicious new novel, Tatiana Boncompagni creates a heroine everyone will love . . . and no one will ever forget. After all, she’s just a down-to-earth gal from suburbia who felt as if she’d landed in the middle of a fairy tale when she married Robert. After all, she’s just a down-to-earth gal from suburbia who felt as if she’d landed in the middle of a fairy tale when she married Robert. He’s handsome, rich, and—best of all—able to make her laugh, and she happily jumped headfirst into his world. But now Robert’s lost his job, Lily hasn’t lost her pregnancy weight, and their once-golden existence seems suddenly tarnished. Desperate to regain her self-esteem, Lily begins writing essays about life among the rich and snobbish, which tosses her into the spotlight and in the path of social disaster. But as Lily navigates her way through the shark-infested waters of Manhattan society, she starts to rediscover her own place in the world—and how to regain what truly matters. Tatiana Boncompagni, 30, is a Manhattan-based freelancer for the New York Times Sunday Styles section and the Financial Times Style & Shopping pages. Her writing has also appeared in Vogue, Cookie and InStyle. A top ten graduate from Georgetown University’s prestigious School of Foreign Service, she worked for the Wall Street Journal in Europe, and, later, as a reporter for the Legal Times in Washington, DC. Married to Maximilian Hoover (of the vacuum cleaner Hoovers), she currently lives in New York City with her husband and two children. Yes, she knows Tinsley Moritmer and Fabiola Beracasa, she truly is descended from an Italian Princess. Why do you think Lily became so upset when her mother-in-law decorated her new apartment without Lily’s consent or input? How does Lily’s discomfort in her own home mirror how she feels in general about her life? What are your impressions of Robert? Is he a good husband? Why do you think he spends so much time with Josephine? Do you think most marriages go through periods of discord and disconnect like Lily and Robert’s marriage does? 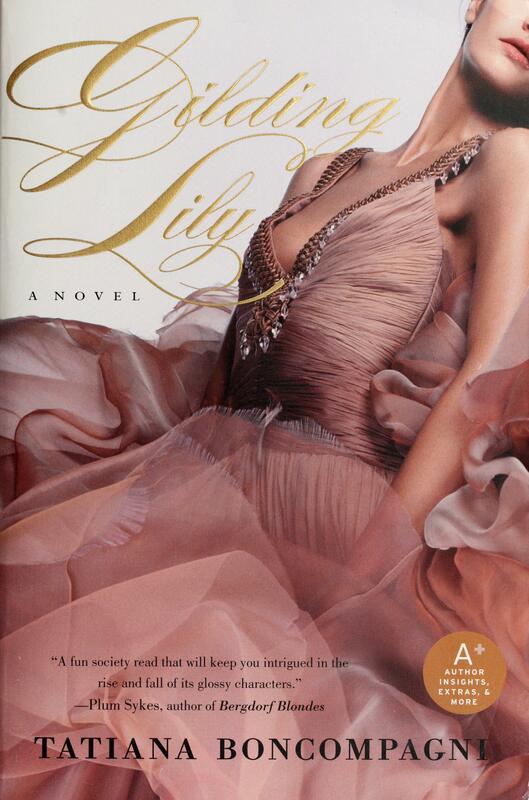 The majority of the socialites in the book are so mean to Lily. Why do you think Lily puts up with their cruelty for so long? Do you think she’s being honest with herself about why she yearns for their acceptance? Edward, Lily’s father-in-law seems to enjoy it when Josephine, his wife, is put in place by Robert, and occasionally does so himself, but he fails to intercede on Lily’s behalf in any meaningful way. Why doesn’t he? Do you think many marriages evolve into similarly hateful unions? While in St. Bart’s Lily runs into a woman who tells her that women get either fat or bitter as they age. Do you think this is true? Why do you think some women feel like they only have these two choices in life? Fashion is an important aspect of the book. What does it represent to Lily? And what does it say about her character? What do you think the author is trying to say about our cultural obsession with clothes, handbags and shoes? Do you think Lily was justified in moving forward with the article about Emily Leiberwaller? Would you have made the same choice or handled the aftermath of the article’s publication similarly? If not, what would you have done differently? Discuss the scene in the jewelry store bathroom with Christian de Rambouillet. What does it foreshadow? What does Lily learn about herself and how does she grow over the course of the novel? What do you think her biggest errors in judgment were? How does she redeem herself? The author Tatiana Boncompagni was inspired by Edith Wharton’s House of Mirth when writing Gilding Lily. What similarities in theme and subject matter do you see between Boncompagni’s work and that of Wharton? Are there parallels between the time that Wharton was writing and now?